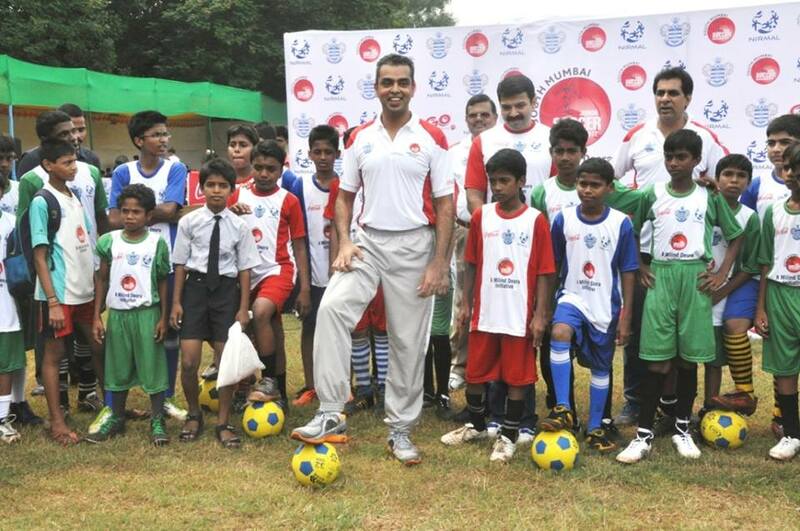 The 5th edition of the South Mumbai-Milind Deora Junior Soccer Championship organised in association with English Premier League’s elite club Queens Park Rangers (QPR), will kick-off on Saturday October 5, 2013. South Mumbai will witness exciting football packed weekends in the month of October and November as India’s largest community football tournament kicks off in the city. The Championship would also serve as a talent hunt for thirty talented youngsters who will be shortlisted for a coaching clinic that will be conducted exclusively by the Queens Park Rangers (QPR) coaching teams from UK. This year, the tournament will witness around 5000 children from over 130 schools representing over 600 teams and playing over 800 matches with teams in the under-10, under-12, under-14 and under 16 categories in boys and girls categories competing at Mumbai’s Western Railways football grounds at Lower Parel. The Championship is open to all South Mumbai schools including Private schools; Government aided and Municipal schools which comprise 85% of the participants. The tournament will provide an equal and fair opportunity to talents from different backgrounds to showcase their skills on a common platform. The tournament is organised by Milind Deora Initiative in partnership with English Football Club Queens Park Rangers (QPR). The event is sponsored by Aditya Birla Nuvo and Omkar Realtors and Developers and Co-Sponsored by HDFC Bank. The event is managed by Saran Sports.